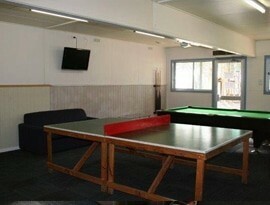 At Lake Fyans Holiday Park we want you and your family to enjoy your stay and hope you make many lasting memories. The use of all facilities in the park are available for all of our guests – RESPECT IS THE KEY. 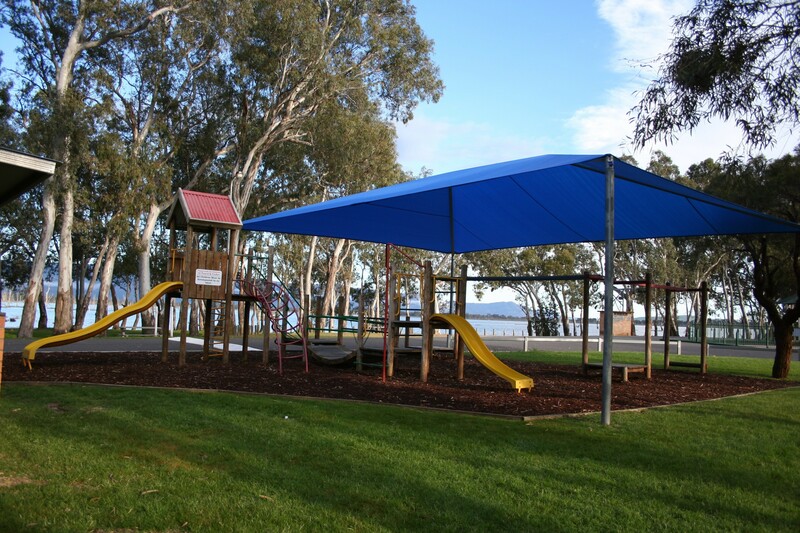 PLAYGROUND – Children 12 and under are welcome to use the playground during day light hours. Please keep older children off this area to allow for those younger to feel they have a safe place to play. 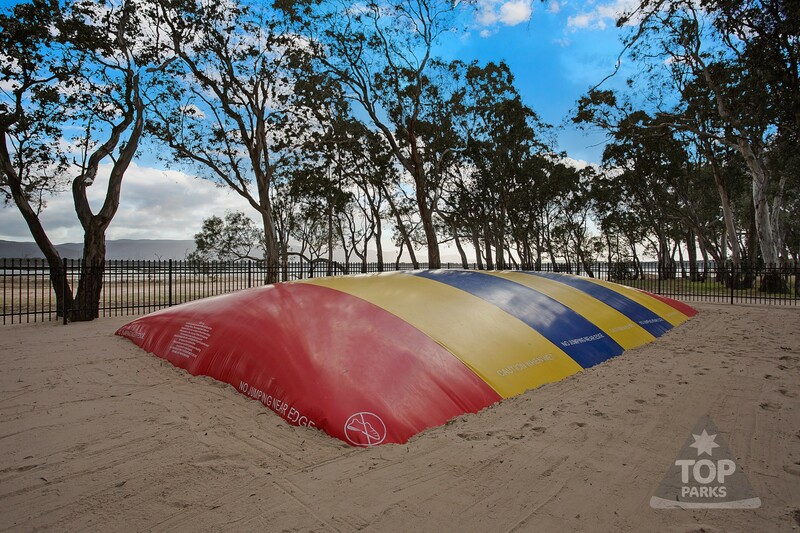 JUMPING PILLOW – Please make your children aware of the “no shoes” rule on the jumping pillow. There is also a limit of 15 at a time and make sure they take turns, primary aged children should be supervised whilst using the pillow for their safety and enjoyment. The jumping pillow may not open if wet. Yes adults are allowed on our pillow! Only one adult at a time please! 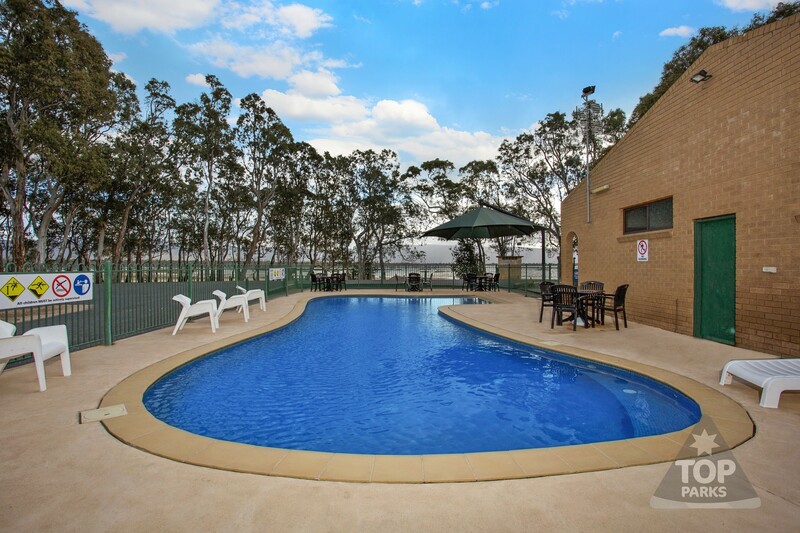 SWIMMING POOL hours are 8:30am to dusk, it is solar heated and salt chlorinated. The pool is regularly tested and will close if it is not safe to remain open. We apologise for any inconvenience this may cause this but during heavy use periods it takes longer for the pool chlorinator to do its job. TENNIS COURTS – Do I need to book the courts? The tennis courts do not need to be booked and there is no charge for their use. You can BYO racquets and balls or we do have tennis racquets and tennis balls for hire. There is a small $2 charge. 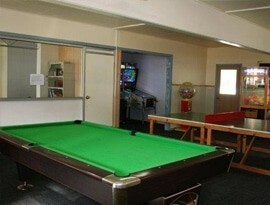 POOL TABLE AND TABLE TENNIS TABLE – Again the use of these is free if you BYO equipment, we do hire pool balls and table tennis racquets and balls. There is a small $2 charge. 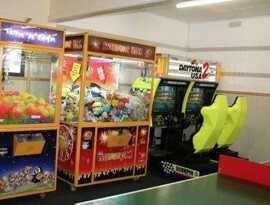 ARCADE GAMES – A variety of arcade games for all ages are available once again though we please ask that all primary aged children should be accompanied when in this room. These games are provided by an independent company for your enjoyment, we will try to address any issues you may have in-house but may have to engage them for anything that requires repair or restart. We reserve the right to refuse access to some areas if misuse or abuse of equipment or facilities is observed by us or reported to us by other guests.